The english health insurance Morgan Price International Healthcore was founded in 1999 to offer powerful international and european health insurances for expatriates all over the world. As a health expert for the european health insurance, Morgan Price has a strong bond with customers. The FinanzSchneiderei insurance broker is thereby germans biggest partner of Morgan Price International Healthcore and their EUKV-expert from Augsburg to Zwickau! The application for the conclusion of an international health insurance at Morgan Price, like all forms to the reimbursement are available for you in german and english language. Our consultants answer all your questions. 750 EUR dentist costs p. a. 1000 EUR dentist costs p. a. 1500 EUR dentist costs p. a. *example: 125,88€ monthly contribution for a 30 - year old / deductible 500 EUR p. a. - The plan offers a comprehensive cover of the costs in a case of issue. - state 12/2017 Owing to prevailing regulations in Germany can´t or just pathly fulfill the criteria of the insurance obligation acc. § 193 VVG. Among others the contributions without a age provision are calculated and not suitable for the substitution of the health insurance protection as well as the care insurance protection of the social security system. No matter if health insurance, travel insurance, accident insurance or other kinds of international health care, Morgan Price is proud of to be able to fulfill almost all the wishes and needs of the clients. Morgan Price offers insurance cover for individuals, familys or companys respectively firms. Because of maximum collectively insured sums, additionally unlimited own contribution could develop in individual cases. Rare payment option gives up to 8% contribution discount! Morgan Price has, like the most EAA-service providers, much more clients than the most german health insurer. Many million insured trust the company worldwide since decades. The FinanzSchneiderei insurance broker has checked and tested the tariffs from Morgan Price since many years. Because our health experts are always there for you, we already have made an good experience in cooperating. At the EAA-service provider Morgan Price we are able to report from the beginning from an excellent reimbursement. As a specialist for international health insurance stands the Astenska Insurance Limited behind the Morgan Price until the end of 2017. 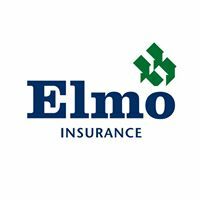 Since 01.01.2018 the viewed company Elmo Insurance have taken the position as reinsurer of Morgan Price, which is connected with global and financally strong reinsurers. With qualitative Underwriting and financial strength, the company from Malta makes a decisive contribution to the international insurance market. Since 2018 Elmo Insurance Ltd. draw the health insurance tariffs of Morgan Price as risk carrier. The international acitve insurer from Malta was founded 1981 in England. Since 01. May 2004 the company in Malta is registered and authorized by the Malta Financial Services Authority (MFSA) as EAA-service provider. With the reinsurer from Malta, Morgan Price is already responding to the possible consequences of Britain´s exit from the European Union. If it comes to a tough BREXIT, the health insurance can act quickly from Malta. Which legal requirement, the Morgan Price is able to fulfill in Germany? Our conclusion: The Morgan Price health insurance offers cheap plans with professional services. However the plans below the o.g. aspects are not fulfilling the requirements to complete the insurance obligation acc. §193 VVG. Therefore the offered plan can´t replace a german privat or staturory health insurance. Available in english and german. The wording of Morgan Price health insurance as a bilingual version. 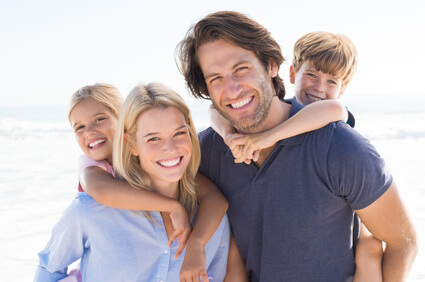 Especially for expatriates, emigrants and people without health insurance in Germany, the european health insurance of Morgan Price International Healthcare offers, in comparison to other EAA-service provider, high-quality insurances at low prices in case of illness. We will gladly make you a clear comparison from the tariff "jungle" to find the best offer for you. With our insurance comparison for the european health insurance, we are nationwide expert and accompany you in case of damage too. Compare now different tariffs with our online-calculator of foreign EAA-service providers - now and just in a few steps. With the Morgan Price I finally found a payable healthcare. This means that I get the best medical supplies in case of illness. Because of the FinanzSchneiderei there is also no language barrier for me. The Morgan Price pays medical bills quickly and easily. This company also process all my claims very quickly and without any problems. The team of the FinanzSchneiderei plan all transactions for me and discuss these things in german. EAA-service provider are european health insurance companies, who are because of an EU-guideline eintitled to pass on their insurances to all people in the European Union. More detailed informations and differences to private german health insurances can be found here. On the internet you can find many blog posts and a forum about european health insurance and Morgan Price health insurance. However are published contributions often outdated or could contain false informations. So always check the writer or author for credibility. If you have any questions, please connect one of our EUKV-experts of FinanzSchneiderei Insurance Broker: We advise you independently professionally and custom! For the avoidance of any doubt, foreign policies of insurance are NOT sold as German Statutory Healthcare policies and/or substitutive healthcare policies within the meaning of the VVG Section 193(3). These offers are comprehensive international medical insurance policies providing cover throughout the Area of Cover (which includes cover outside Germany) that you have selected and are insurance policies sold under the European Freedom of Services Mediation Directive. These policies being international medical insurance policies were subject to the governing laws of England and jurisdiction of the English and Welsh courts as well as the UK Financial Conduct Authority. GET YOUR QUOTE TODAY - Morgan Price Healthcare Plans! About our service - brilliant consultation from our experts. Get your personal quote and get informed about important news from the Global Health Group. Your details are a matter of confidence!